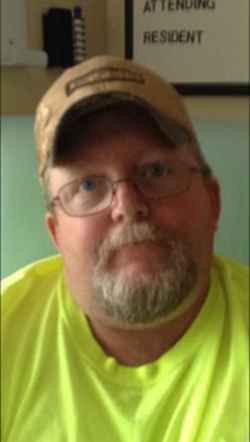 Vernon “Bill” William Bigelow, Jr.
Vernon “Bill” William Bigelow, Jr, age 47, born on August 30, 1969, passed away in a tragic 18 wheeler accident on February 1, 2017, in Ulster, New York. Vernon was born in Townshend, Vermont, the son of Vernon Bigelow, Sr. and Bonnie (Corliss) Barnum. He leaves behind his significant other, Joscelyne Knight and their children, Hunter and Paige and Joscelyn’s daughter, Evelyne of St. Albans and Nathan and MaKenna of Richford, as well as his sisters, Debbie Trombly (Jeff) and Jennifer McCuin (Ken) and his brother, Chris Hathaway (Robin) and many aunts, uncles, nieces, nephews and cousins. Vernon was predeceased by his parents Vernon Sr. and Bonnie Barnum. Vernon was a 1988 graduate of Green Mountain Union High School. Driving truck was Vernon’s life, he worked for several trucking companies, most recent was Vaillancourt Transportation, hauling milk. Another passion was helping out on local farms. Vernon loved his country music, 4 wheeling, seeing new places throughout his travels and his Dunkin Donuts coffee. He was a very kind person, a great provider for his family, he would do anything to help anyone out and he loved socializing with everyone, he could not go anywhere without running into someone he knew. Most important in Vernon’s life were his children. A Celebration of his life will be held at the Chester Town Hall on Saturday, February 11, 2017, at 2:00 PM. Another Celebration will take place in St. Albans on Friday, February 17, 2017, at the Elks Lodge, 44 Gricebrook Road from 5:30 PM to 8:30 PM. To send Vernon’s family a written expression of sympathy, please go to his on-line guest book at www.healdfuneralhome.com.